Groups get higher priority in the news feed than pages (so, patrons are more likely to see your posts). It'll allow you to divide your followers into appropriate groups. You can make a group for teens, another for parents/caregivers, another for adults and only post the relevant information into each section. It may also provide a way for patrons to connect with each other -- a local community with people they wouldn't normally have a reason to reach out to (especially if your town/city DOES NOT have a special Facebook group for residents). 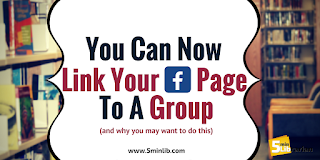 You will have the ability to comment and like as your page in your groups, which will help patrons know it is "the library" that is responding. Facebook acknowledges that it can be time consuming to accept people into groups, so they added a filtering feature where you can easily sort the requests by location and accept/deny at once. You can also add a questionnaire with up to 3 questions that new members must answer before they apply if you want to expand your reach beyond what locations they have listed on Facebook. 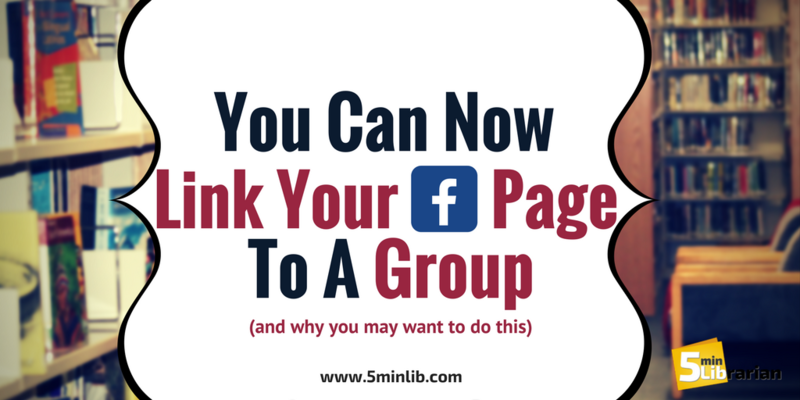 Not only can they easily find the link on your page to your group, you can also easily share your relevant posts to this group. Targeted Marketing! When people respond to your post in the group, it'll bump up your post reach on your page as well. And, as we all know by now, when your current post gets interactions, it'll do better and increase the reach on your next post. That's a win/win! With targeted advertising, you'll be able to see what posts are working for your specific groups: the demographics as well as the days and times they are active online. This is valuable info that you cannot parse from a generic Facebook Page which all patrons follow. And new to Groups: Admins and moderators can create and schedule posts to publish at a specific day and time! Do you have a successful Library Facebook Group? If so, please share in the comments! We'd love to hear what types of groups have worked for you.